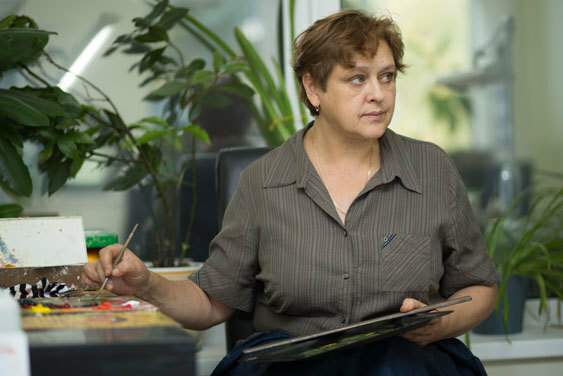 Olga was born in the Chivirevo village of the Mytishchi district and took the V.I. 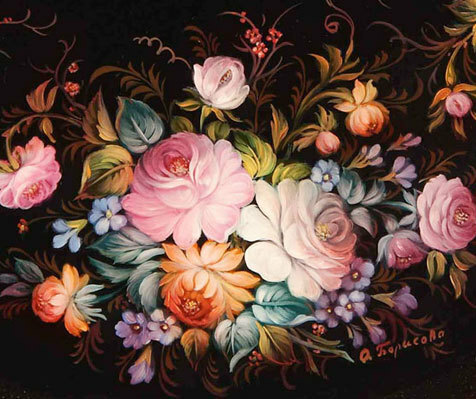 Dyuzhaev’s course at the Fedoskino Miniature Art School. 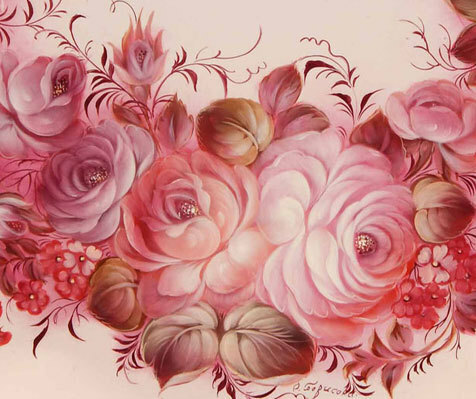 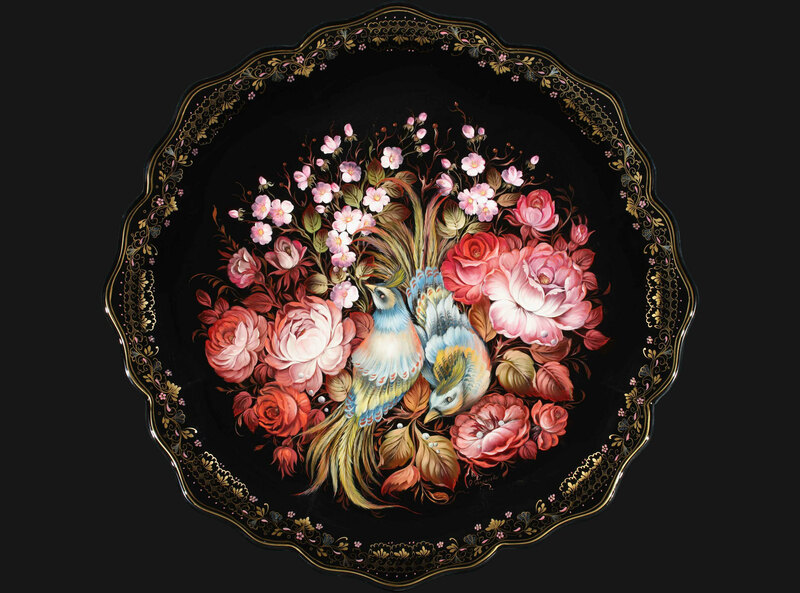 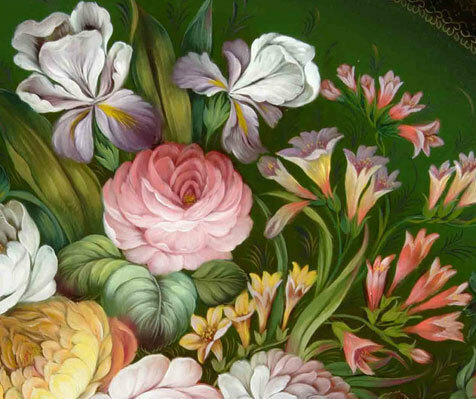 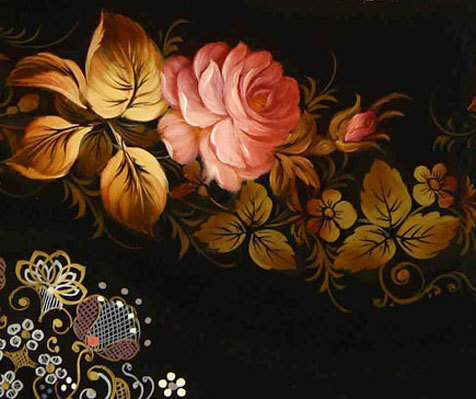 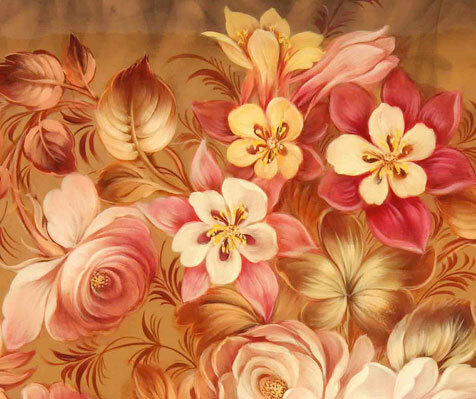 She has been working at the Zhostovo Factory of Decorative Painting since 1980. 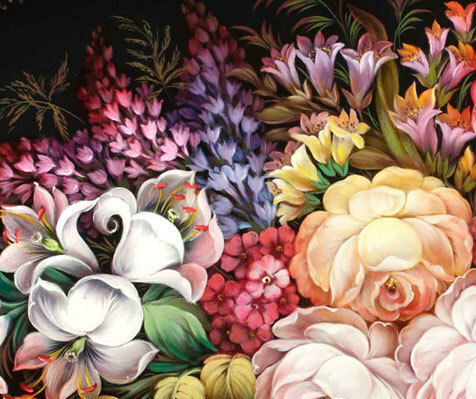 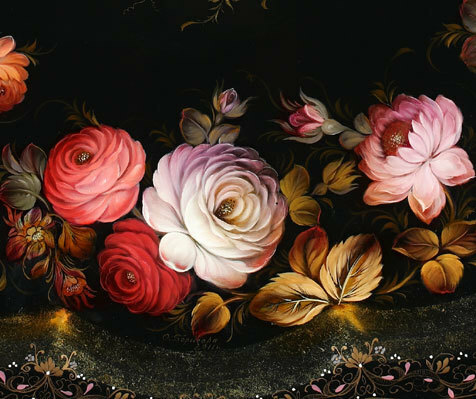 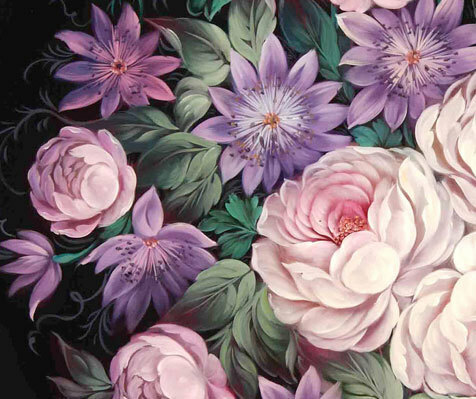 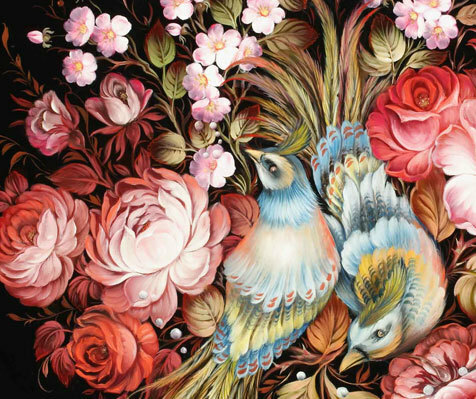 Olga is a master of decorative brush painting and creates interesting poetic floral compositions in elaborate colour schemes. 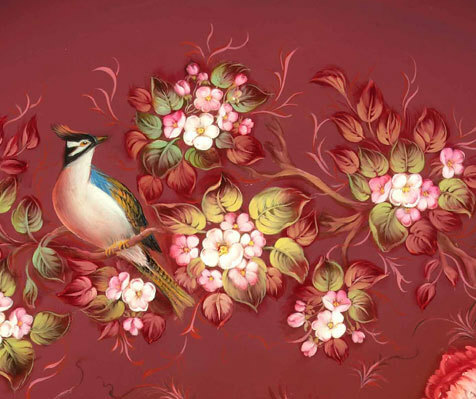 Participant of numerous art exhibitions and author of poems dedicated to our region and fellow craftsmen. 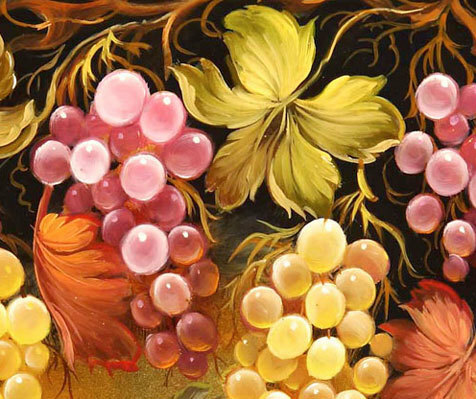 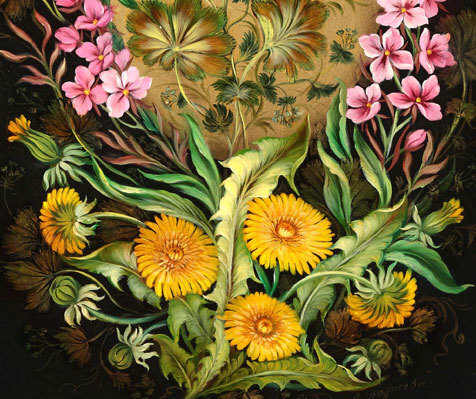 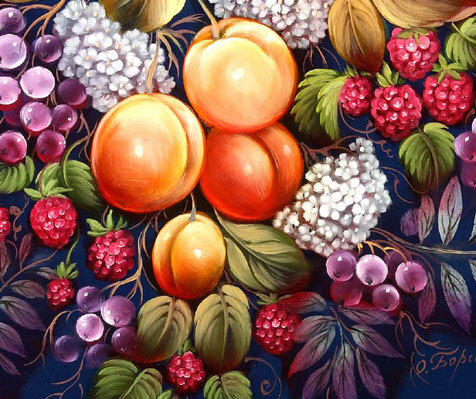 The works by this artist are kept in the Museum of the Zhostovo Factory of Decorative Painting.